Annmarie Sculpture Garden & Art Center is committed to connecting people to art and nature. Through a wide variety of engaging exhibits, programs, classes, public projects, and annual events, Annmarie opens up opportunities for creativity, collaboration, and reflection. 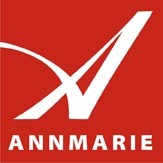 By providing opportunities for visitors to experience and engage in imaginative activities, Annmarie seeks to nurture the human spirit and contribute to a healthy society. The indoor and outdoor works specifically commissioned for Annmarie are dramatic, ranging from a colorful ceramic gate that welcomes visitors to Annmarie to a ramp that takes visitors up into the trees. Two favorite works, The Council Ring and A Surveyor’s Map invite guests into the art to walk on, touch, read, and explore how art and nature complement each other. A Tribute to the Oyster Tonger, considered by many the most important piece in the collection, celebrates the rich cultural heritage of the Chesapeake Bay, and the proud watermen who for generations made their living off the resources of the Bay. Collectively, these diverse works allow visitors to explore the ever-changing shapes and shadows of the forest and the art it shelters.